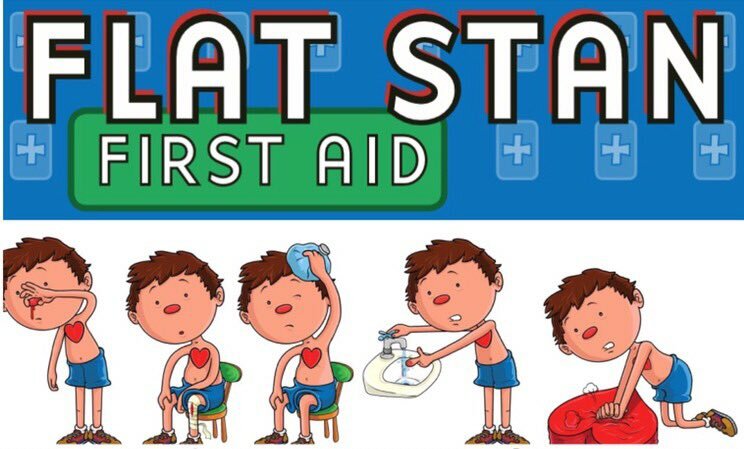 Year 3 were very lucky to have a Flat Stan First Aid Workshop. We learnt about the unresponsive casualty, CPR, recovery position, choking, treating burns and bleeds and we found out ways of getting help in an emergency. Thank you to Natalie for delivering our workshop in a fun yet informative way. Year 3 are now all trained up and ready to help in an emergency if needed! Please enjoy photos from our training below.